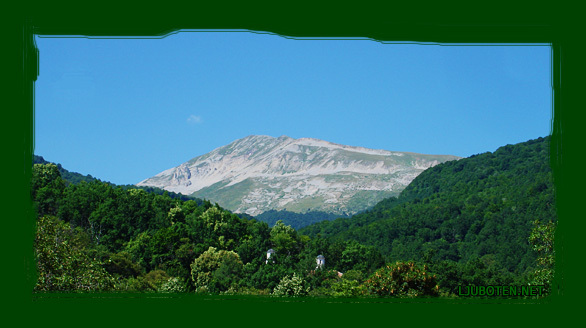 Ljuboten (aka Ljubotan) is mountain peak at Shar Mountain, north-western Republic of Macedonia (Europe). Its height is 2498 meters. A view of Ljuboten from Vratnica. © 2009-2012 Ljuboten.net ~ The website is in developing stage.